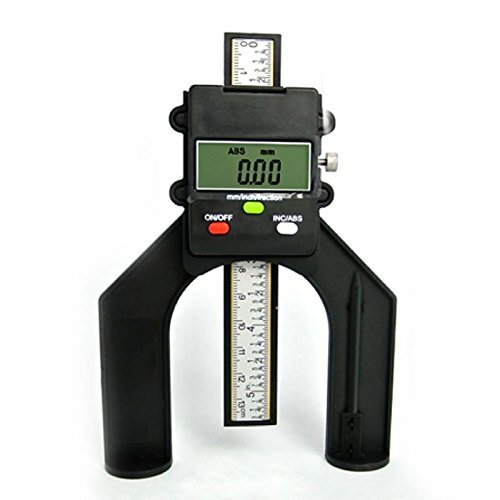 Digital Self Standing Depth Gauge w/ Magnetic Feet is use for hand routers and routers tables.Suitable for horizontal and vertical measuring.It includes a rule depth gauge with locking screw to set the height of router cutters and saw blades accurately.It also has are movable pin to measure hole depths up to 50.8mm (2"). Manufacturer: Gain Express Holdings Ltd. Publisher: Gain Express Holdings Ltd. Studio: Gain Express Holdings Ltd.